Frame: Height: 90mm; Triple Layer Face Foam: Perfect fit with moisture-wicking fleece for extra comfort; Lightweight Thermoplastic Polyurethane Frame; The Thermoplastic Polyurethane frame is abrasion resistant, flexible and with superior elasticity; Features MFI (Magnetic Facemask Integration) for extra protection and warmth; Lens: Spherical Lens Technology for wall-to-wall vision; Anon's Spherical Lens Technology mimics the curve of the human eye for incredible optics in all directions; Includes Spare Graybird Lens: 55% - 85% VLT for optimal vision on cloudy/ grey days; Integral Clarity Technology (ICT): Provides crystal-clear vision no matter the conditions; ICT combines with Full Perimeter Channel venting for extreme moisture prevention; VLT: 18%; Best suited to super bright sunny conditions; Helmet Compatibility: Yes; Strap: No-slip silicone strap; OTG: Over The Glasses (OTG) Compatible; For full-face intergrated protection, you can't go wrong with the Mig goggles. 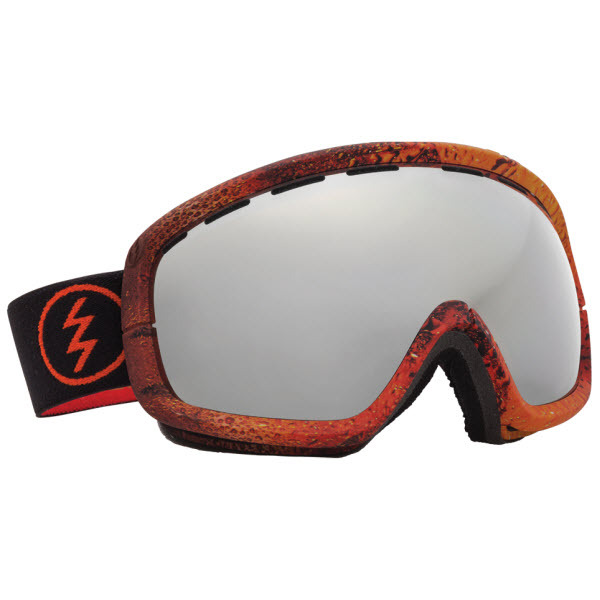 With four magnetic connection points, the facemask is sealed to your goggles for extra protection in deep powder and cold winds on the chair. Worried about the goggles steaming up? Well, thanks to the reinforced perforated O2 vents Anon keep you fully covered and fog free. So, for the best possible field of vision, and a little bit of extra warmth, Anon have your back...Plus, there's a spare Graybird lens for when conditions change from bluebird to whiteout. The Green Solex lens reduces glare and lessens eye fatigue thanks to the dark bronze base lens tint with a multi-layer Green Mirror. Perfect for super bright bluebird days. :: Men > Goggles Size: one size.